The OPEC-Plus decision to boost oil production is one of the most bullish developments for the global oil market since the crude oil bear market kicked off four years ago. While it might seem counterintuitive to say that rising global oil output could be positive for prices, the key is to focus on spare capacity and the growing risk the world could face a real supply shortfall by early 2019. Spare capacity is defined as oil production that can be brought online within 30 days and sustained for 90 days. In other words, spare capacity represents mothballed fields or wells that are not currently producing oil but could be brought online quickly to meet “shocks” such as temporary disruptions in global oil supply or tanker traffic. 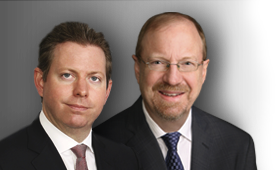 Elliott Gue and Roger Conrad will host the Energy & Income Advisor’s next Live Chat on June 28, 2018, at 2:00 p.m. ET. This is your opportunity to ask questions about the latest developments in the economy and energy patch. As we have for more than a decade, we attended the 2018 MLP & Energy Infrastructure Conference (MEIC) in late May. This year, we had the occasion to listen to presentations, participate in breakout sessions and one-on-one conversations with senior management at roughly 30 of the largest midstream energy companies in the US. This week’s issue of Energy & Income Advisor will follow a slightly different format than usual. During and following the conference, we compared notes and discussed some of our key questions and takeaways from MEIC. Many of these discussions were recorded and, in this issue, we present an edited transcript of our conversations surrounding 7 key talking points: General takeaways from MEIC, MLP to corporation conversions, the FERC ruling on cost of service rates, US energy infrastructure bottlenecks, our picks (recommendations) coming out of MEIC, our main pans (stocks to avoid). What Drives Performance for Exploration & Production Companies? In other words, it’s crucial to understand which quantitative metrics and/or stock characteristics drive stock market returns over time. Answer that one question and you’ll be well-positioned to select stocks that outperform their peers and the broader market. However, these key metrics change over time and nothing drives changes in investor preferences quite like a bear market. That’s certainly been the case for the upstream energy industry in the wake of the big 2014 to 2017 bear market in oil prices. In the last major energy bull market – leading up to the 2008 top for crude oil – production growth was the most important metric to watch. Companies that grew production the fastest often generated the strongest stock market returns even if growing production required financing via secondary share issuance or debt. And production growth – particularly oil production growth – remained a powerful metric in the 2009 to 2014 era of steady, high oil prices. However, that relationship has now broken down for good and investors must change tactics accordingly, throwing out the growth-driven playbook that worked so well in the last bull market for energy. Simply put, investors are now looking for a balance between energy producers’ capital spending, free cash flow and production growth. 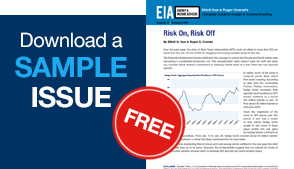 In this issue, we develop one key metric for analyzing exploration and production (E&P) companies that’s been strongly correlated to stock market returns over the past two years. While investors should never rely exclusively on any single quantitative metric in selecting stocks, we use this research as a starting point to identify some of the best-positioned E&P stocks to buy now as well as a few names to avoid. What Drives Performance for Exploration and Production (E&P) Companies?